Are you an owner of iPhone who enjoy the advantages of iMessages? 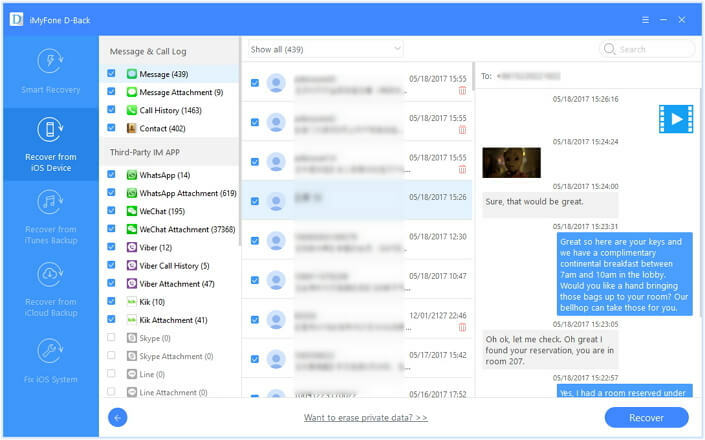 By now maybe you have known that your iMessages can be easily lost. Consider why you lost your iMessages? Well, you should know that iMessages can be lost easily in situations such as a jailbreak, upgrading the iOS to iOS 11 and the factory reset. 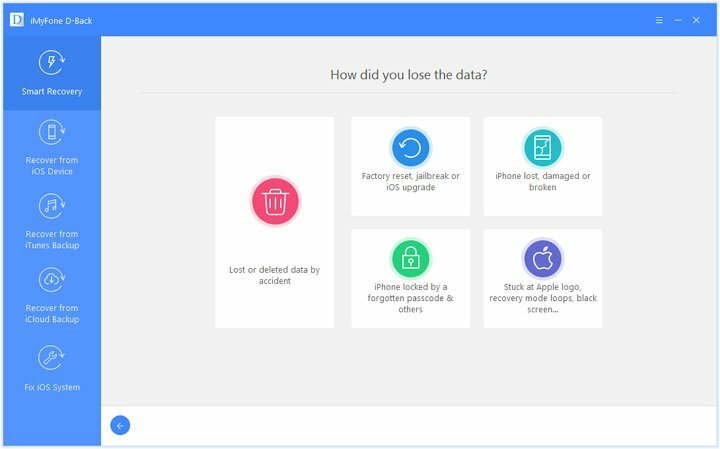 Have you lost all of your iMessages and you want to recover some of the iMessages that are of importance? Stop being frustrated. This article offers a wealth of information to help you recover iMessages from your iPhone. Support recovering iMessages from iPhone with/without backup files. Four recovery modes hugely raise the probability to get your lost iMessages back. 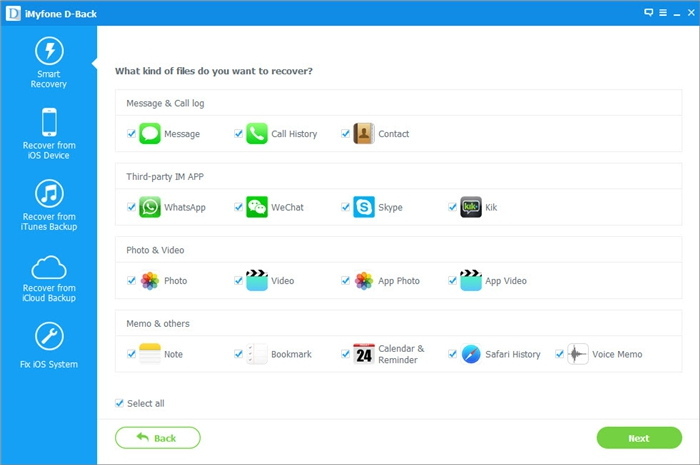 Besides iMessage, 22+ types of file can be recovered, such as photo, video, contact and more. Preview function guarantees that you can know the iMessages content before recovery. Support recovery for the lately iOS 11 and almost all the models of Apple mobile devices, such as the new iPhone 8, iPhone 7, iPhone SE, popular iPhone 6 series, iPhone 5 series, iPad, iPod touch. Step 1: The first primary step is to download the recovery software on your computer. And then select the most suitable recovery mode. And Smart Recovery is the most labor-saving one for those don’t know where to start. Step 2: Then choose the type of the files you want to recover. In this case, it is the Message. And multiple selection is also supported. The following is to choose how you lost your iMessages for subsequent scan. 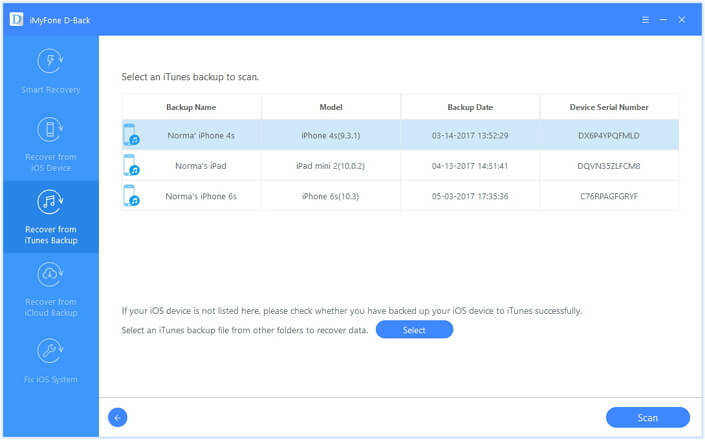 Step 3: The software will automatically scan your iPhone, iTunes or iCloud backup files, and the recoverable data will be shown after the scan. After preview the specific content of these iMessages, click on Recover to recover iPhone iMessages. You can also recover the iMessages from an iTunes backup file. Follow these simple steps to recover them. Follow these simple steps to recover the iMessages from an iCloud backup. 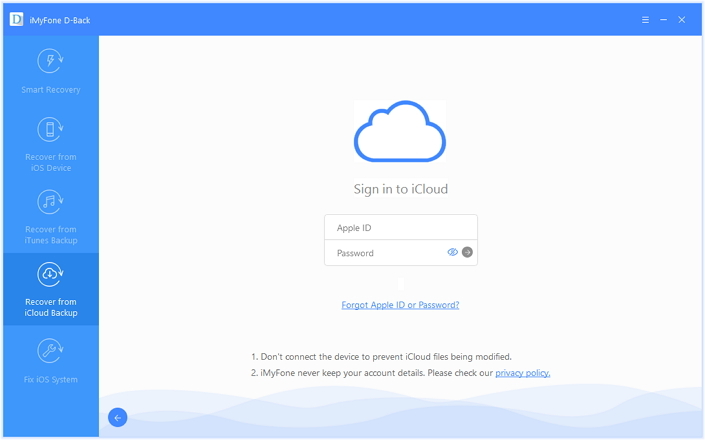 Step 2: In the next window, sign in to your iCloud account with your Apple ID and password. This will allow the program to access the backup files on your iCloud account. Select the one containing the deleted Messages and click “Next.” The program will begin scanning the backup file for the missing iMessages. Step 3: When the scan is complete, preview and select the missing Messages and click “Recover” to get them back. And just three steps, iMyFone D-Back for Win or iMyFone D-Back for Mac (compatible with iOS 11) can complete iPhone iMessage recovery easily. The software has a simple and user-friendly interface to make its usage easy and smooth. There is no need to worry about the lost imessages or how to go about recovering iMessages from iPhone. I would recommend this software to be the best as it is free to download and gives you a chance to preview the iMessages that you want to recover. Just try it.